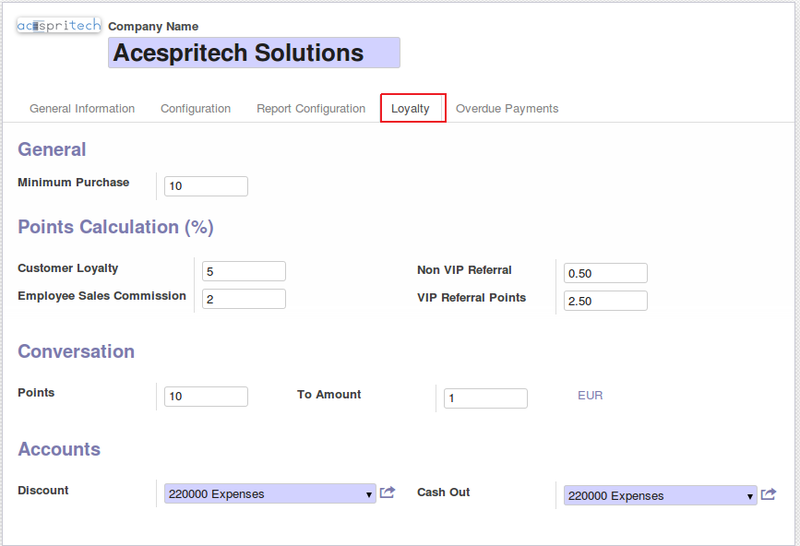 We have improved our existing loyalty system and make lots of enhancement. 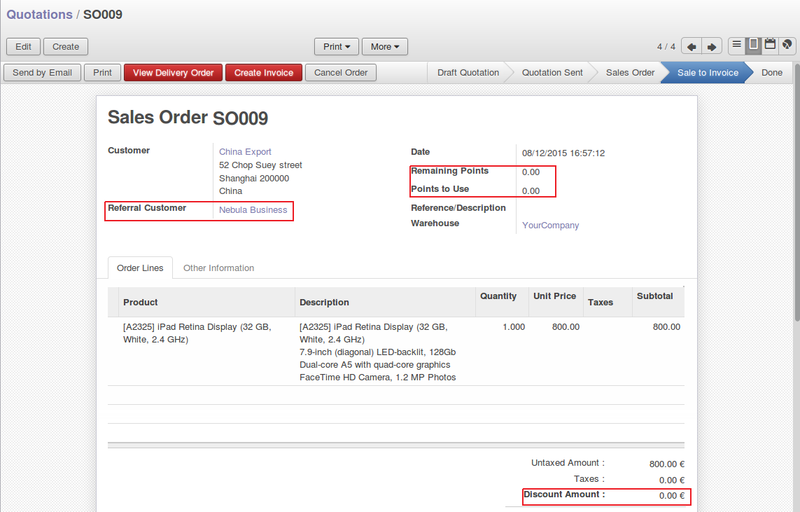 In new system, referral customer and employee will be tracked and get benefits of sales occurred from Sales Order or POS. Loyalty point begin when customer start purchasing above Purchase Limit and then after customer will always get point on every purchase. In configuration, there are some general configuration for getting points for each one. It is easy to define accounts for discount and cash out. 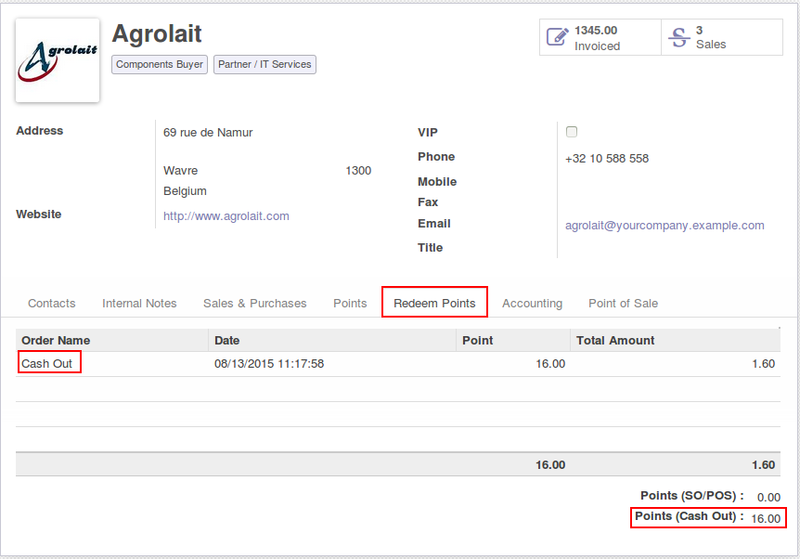 In Sales Order form, you can select Referral Customer and enter how many points to redeem. Redeem points will be automatically converted into discount amount. Points will be added in customer after invoice will be paid. (created from sales order). Referral customer and employee (sales person) will earn points. 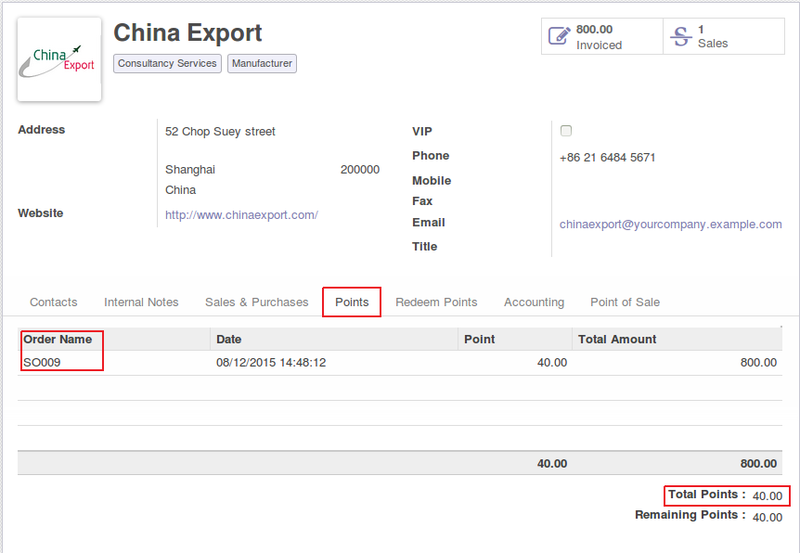 You can select Referral Customer from POS and redeem points. 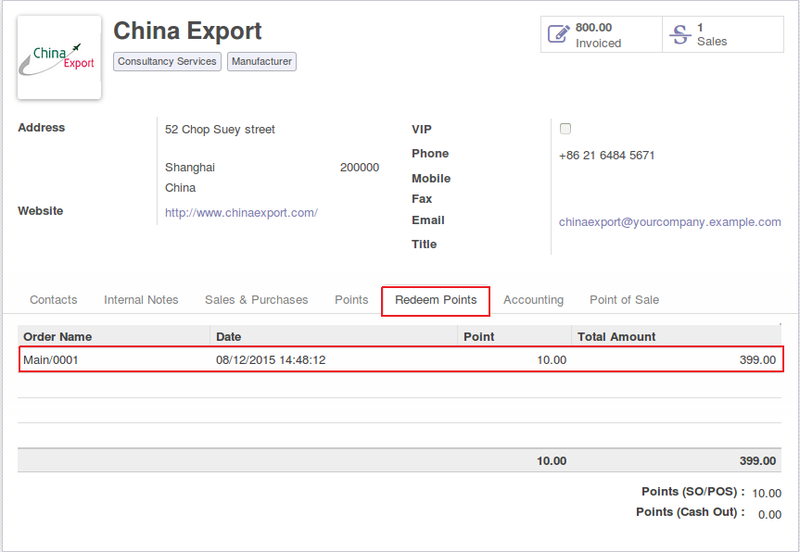 It will print redeem point in POS Receipt. 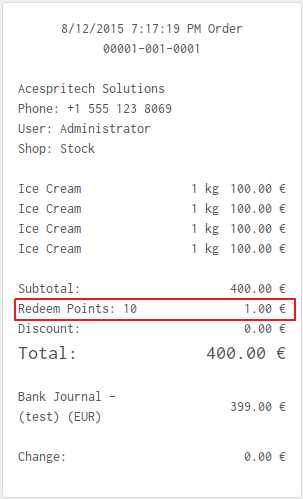 It will make separate journal entry for redeem points entered from POS. 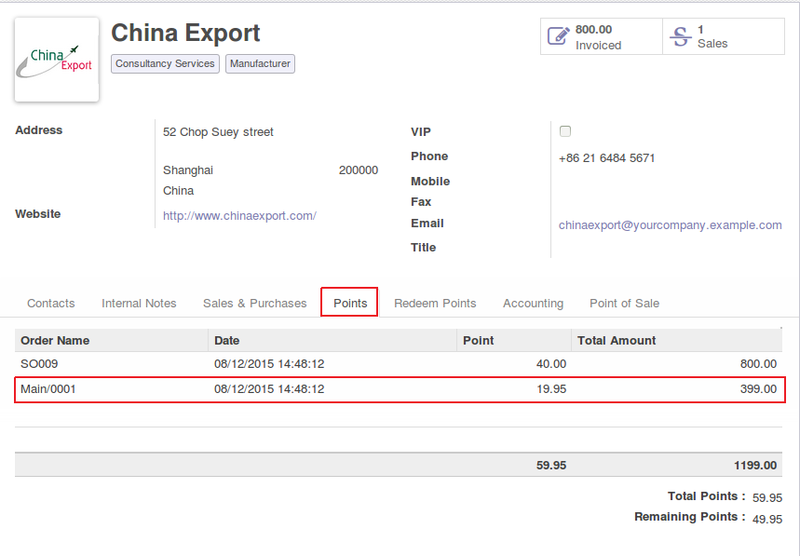 We can have all points information in customer form also like below images. Employee will get commission amount in their salary as per their sales during a month and job position in company. Multiplier value will be use for calculation of monthly commission amount. Employee contract must have Working Schedule define. 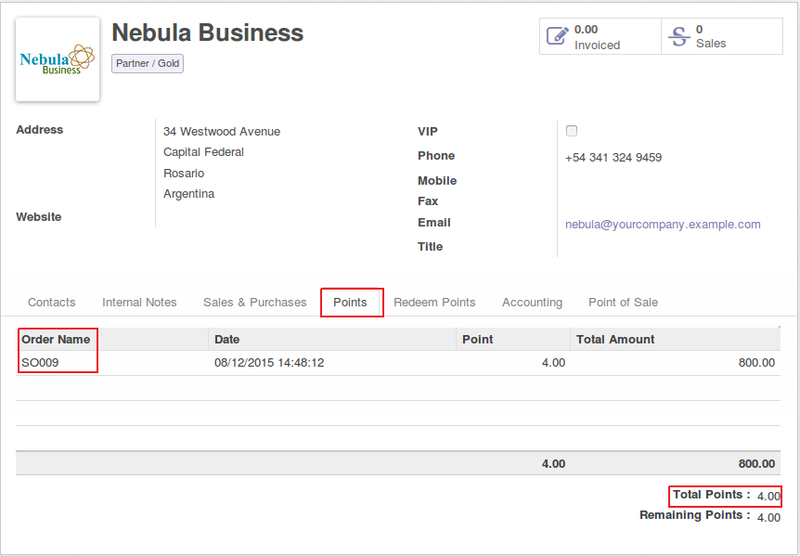 At time of creating employee payslip, employee points will be automatically selected and use in calculation. 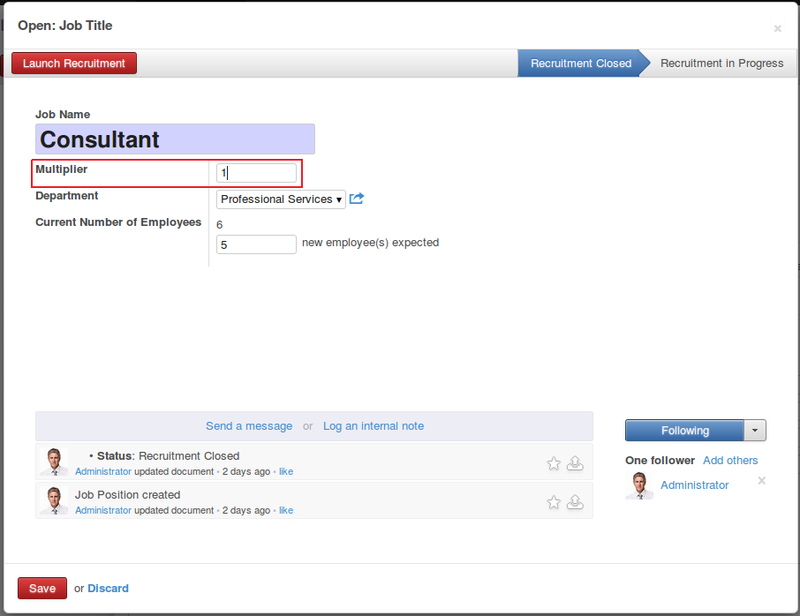 Once employee payslip is confirmed, we will have corresponding points entry in employee form. In this system, its possible to provide CASH amount to customer instead of discount during purchase and also generating valid accounting entries. Cash Out will make entry same like redeem point for customer. Good work. How can i get this module?